The BRISK hand cleaners is intended for washing heavily soiled hands without any need for further treatment. It contains fine abrasives, which make it possible to perfectly remove heavy soiling via the standard washing procedure. The lanolin and glycerine additives lend the paste softness and a pleasant fragrance. The product contains natural ingredients that make it healthy. An advantage is the possibility to use it up to a temperature of –25°C. For its perfect washing performance and nice properties for the skin on the hands, it is a sought-after product for industry, service stations, racing stables, workshops and homes. The hand cleaners ranks among the most popular washing products all over Europe. 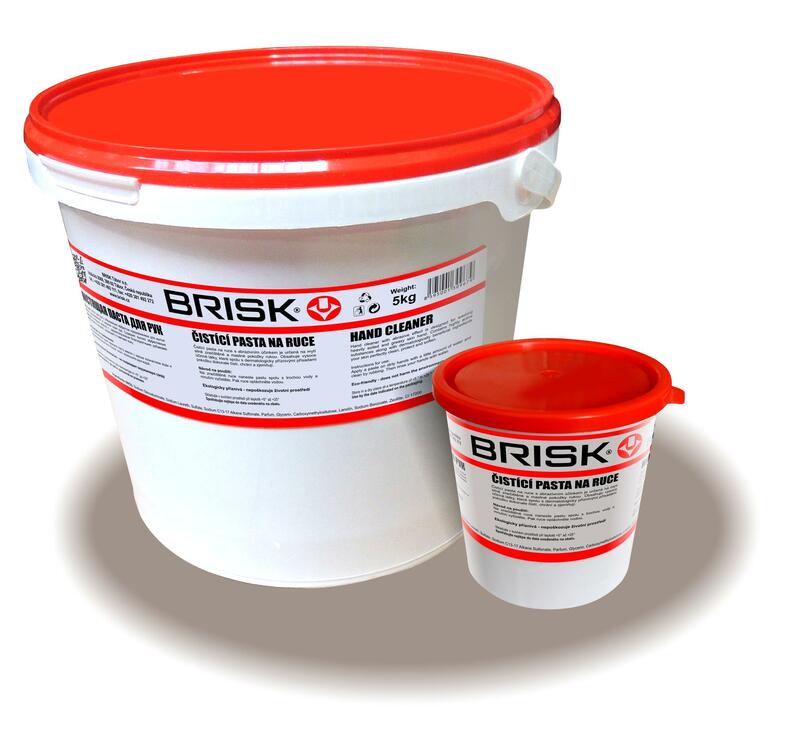 The BRISK washing paste can be supplied in a disposable travel package or in a package for multiple usage.